Imbibitional (fast) water uptake occurs within the first 48 hours after a seed is planted. Once planted, corn seeds need a two-day (48-hour) window and soybeans need at least a 24-hour window when the soil temperature at planting depth does not drop much below 50°F. When the soil temperature drops much lower than 50°F within that time frame, there is potential for chilling injury to affect seed germination and seedling growth. 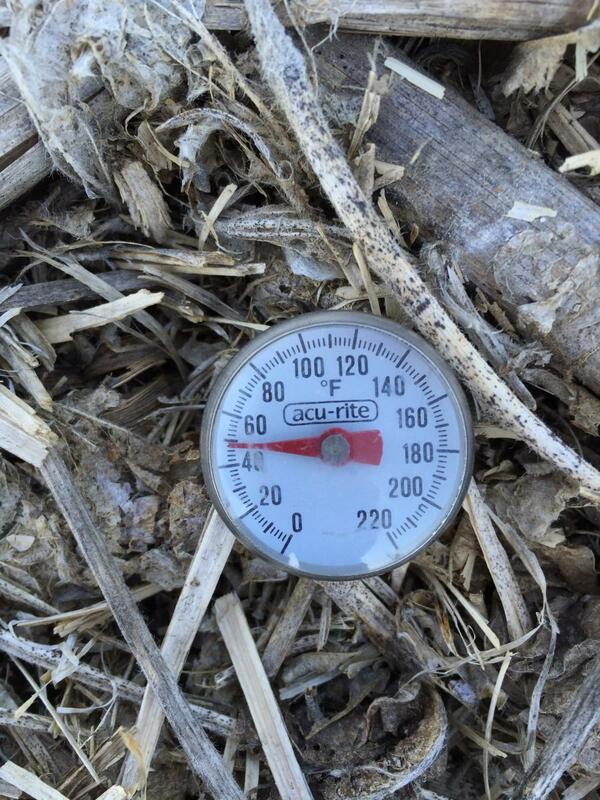 Soil temperature decreases after this time are less likely to affect seed germination. of the field(s) you want to plant that day and then assess the temperature forecast for that same evening and the next day and evening. If the morning soil temperature is at or above 50°F and is not likely to fall below 50°F in the next 48 hours, consider planting. Bottom line: Plant your soybeans if you think the soil temperatures won't get cold (less than 50°F) for at least 24 hours. If you planted two or more days before the cold rain, there should be no imbibitional injury due to cold temperature. In conclusion, check the weather forecast, soil temperature, and hybrid/variety cold tolerance before planting. The first 24- and 48-hour periods are critical for soybean and corn, respectively, if soil temperatures dip much below 50°F. Monitor your fields based on planting date throughout the year to determine any affects on plant stand and yield. Kruger, G., J. Specht, R. Elmore, J. Rees, and T. Hoegemeyer. Factors Influencing Cold Stress in Corn and Soybean. UNL CropWatch. Specht, J., J. Rees, P. Grassini, and K. Glewen. 2016. Three Key Considerations for Planting Corn and Soybeans. UNL CropWatch. Specht, J. 2013. Tracking Air and Soil Temperatures in Soybeans Planted April 29. UNL CropWatch. Vertucci et al. 1983. Dynamics of Imbibition of Soybean Embryos. Plant Physiology 72:190-193.